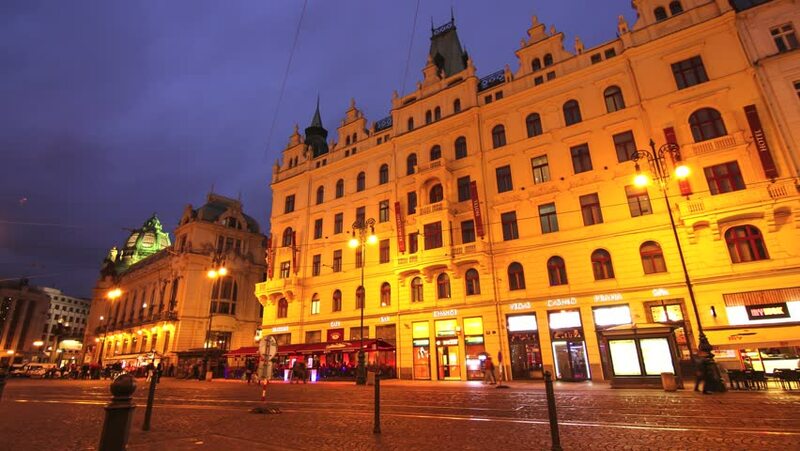 PRAGUE, CZECH REPUBLIC - SEPTEMBER 9: Timelapse of the Republic square at night on September 09, 2014 in Prague, Czech Republic. 4k00:16NOTTINGHAM, ENGLAND - MARCH 23: Motion timelapse of Nottingham's central square. In Nottingham, England. On 23rd March 2019. 4k00:07Opole. Poland 4 July 2017. Evening city. The movement of cars on a roundabout on a summer evening. 4k00:13MADRID, SPAIN - SEPTEMBER 9: View of the streetlife in the evening in Madrid on September 9, 2015 in Madrid, Spain.